Lantana Shoreditch located on bustling City Road is part of the Lantana Café group, which also has sites in Fitzrovia and London Bridge. 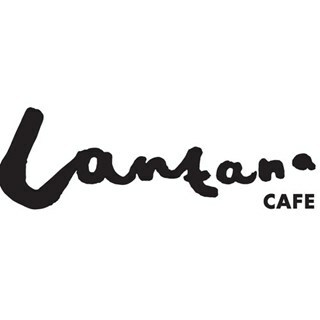 Founded in 2008, Lantana is one of the pioneers of the Antipodean artisan café scene in London. In addition to excellent coffee, Lantana serves a delicious food menu with multicultural influences and pride themselves on warm and friendly customer service. We are open all day for breakfast, brunch, lunch, dinner and everything in between and welcome you to enjoy our a little bit of Australia in the heart of Shoreditch. Thank you very much for constant great service! Lovely service and delicious food! It took a while for the staff to take my order and to find someone to bring the bill, but once I'd ordered the food came very quickly and was delicious. Innovative menu, great location and interiors - amazing food too. The food was great and the service was lovely too. Will happily come back! We were 30 minutes late for our lunch reservation, but a quick phone call ahead, and the staff held it for us, even though the cafe was packed. They were excellent on the phone and saved our day! Many thanks to your team! Food was great and very lively place to have breakfast on a Tuesday morning, would definitely recommend. I love your French Toast! Great food and coffee. Portions seemed to have shrunk. Service a little slow but understaffed and full at brunch hour so understandable. Great brunch and service. Looking forward to a return visit! Great brunch menu and delicious, tasty food. Excellent brunch. All of the food was interesting and extremely tasty. We went bottomless and were not disappointed, excellent service despite the restaurant being very busy. Excellent value for money. Couldn't recommend enough. Had a lovely work lunch, food and service was amazing! We will be back soon! Thank you! Was a little disappointed as not all of the cocktails were available due to lack of ingredients! Probably top3 brunch places I've been to in London. Great food, staff, service and not that expensive for quality served. Good food, drink and atmosphere. Timely service for lunch, i would recommend. Every time I have been here service is VERY slow. Great experience. Great menu and the meal was delicious. Service was superb, and couldn't be faulted. Just generally there is a really nice atmosphere and relaxed clientele. Only dined yesterday but already recommended twice. Look forward to dining there again. Lovely food, healthy and yummy options and great service! We were given the meat option by mistake- left with one of us having eaten while other waited for meal. Waiter did say sorry and luckily we’d not eaten any meat but had eaten some beans before noticed the meat. No offer of refund, drinks etc for mistake, which would have been appreciated. Because of this I’m not sure we’d return as we didn’t feel we were valued as customers or that staff understood how we may have been upset by having meat contaminated meal and having to eat separately when out for a special birthday breakfast. Great service and tasty, healthy food. A small menu so they do what they do well.